Happy Buddha rests on a gold ingot. 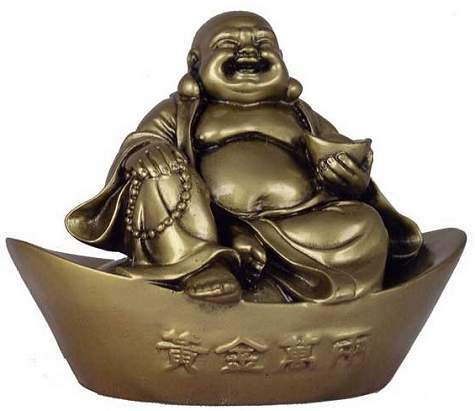 The Buddha with a gold ingot has been an ancient Feng Shui cure to promote wealth and prosperity. Hand painted satin finish on solid stone resin statue. Stone resin with a polished Antique Gold finish.